The "FLY OUT FOR FREE" offer ("Offer") will be applicable to Standard Chartered Credit Cardholders (Cards issued in Sri Lanka) only. The journey must originate from Sri Lanka. 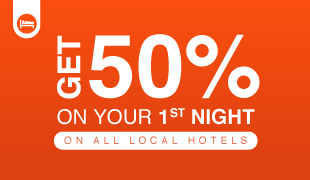 Offer is applicable on any Airline (available through www.findmyfare.com/SCB) on flights originating out of Sri Lanka. Offer valid for round-trips only. 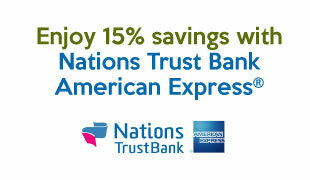 The offer is valid on a first come first served basis to the first 50 Standard Chartered Credit Cardholders only. 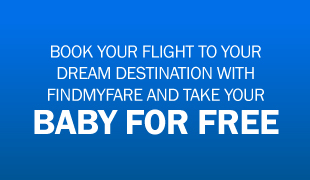 In order to be eligible for the "FLY OUT FOR FREE" offer, booking needs to be done for a minimum of two passengers through Findmyfare - www.findmyfare.com/SCB with the Standard Chartered Credit Card. Only the Standard Chartered Credit Cardholder making the booking will be eligible for the FREE TICKET. 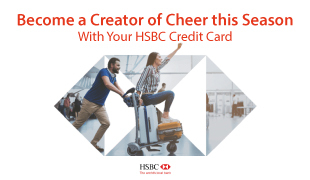 The Standard Chartered Credit Card will be charged for the total number of tickets and the Cardholder will receive a refund for the eligible FREE TICKET as a form of Cash-back (For example, Book 2 tickets and get a 50% refund, Book 3 tickets and get a 33% refund, Book 4 tickets and get a 25% refund etc). A maximum Cash-back benefit value per Cardholder will be capped at Rs. 50,000 during the Offer period. Cash-back is applicable only on the BASE FARE of the eligible FREE TICKET and is not applicable for any taxes and other surcharges. Cash-back will be credited to the Cardholder's Credit Card account by 25th April 2015. The Sales Window (booking period of tickets) is open from 26th March to 31st March 2015 (both days inclusive). Offer is valid for tickets purchased during this period only on a first come first served basis to the first 50 Standard Chartered Credit Cardholders only. The Travel Window (travel commencement and completion period) must commence and complete between 26th March 2015 to 31st December 2015. In an event where the same travel destination and same travel dates have been booked by the same Cardholder more than once using the same Credit Card, Cardholder will be eligible for one Cash-back for all transactions. In this instance Cardholder will not be entitled for further refunds. The Offer cannot be exchanged for cash and/or used in conjunction with any other promotional programs or offers provided by findmyfare. In the event of a No-Show there will be a penalty charge of Rs. 15,000 per passenger. Date changes are subject to fare rules of the respective airline and an additional handling fee of Rs. 10,000 per passenger applies for tickets purchased under this promotion. The General Credit Card terms and conditions of Standard Chartered Bank shall continue to apply. Standard Chartered Bank reserves the right to amend/withdraw this Offer at its sole discretion and without prior notice to Cardholders. This Offer is subject to the terms and conditions of the respective partner establishments. Offer valid on adult passenger air tickets only.